This is it. You’ve decided that now is the time to lose weight, shred body fat and give your lifestyle a complete overhaul. And what’s the biggest determining factor in whether or not you’ll carve out a six pack, reveal those shapely shoulders and uncover those athletic legs? And in this article we’re going to tell you exactly how many calories you need to eat for fat loss. There’s no need to be hesitant and there’s no need to leave it to chance any longer. A food calorie is a unit of measurement. It commonly refers to the energy needed to raise 1 kilogram of water by 1 degree Celsius. This is where the ‘kilo’ comes from in the term kilocalorie (kcal). Calories are the most important determinant of weight gain and loss. And whilst other factors may play a small role in body mass changes, the amount of calories you eat on a daily basis will decide whether or not your weight goes up… or down. This is the energy you receive from the food that you eat, specifically from three macronutrients – carbohydrates, fats and proteins. The calories you burn each day is what you you’d call energy expenditure. Your BMR refers to the calories you need to ensure your brain, heart and other organs can function properly. It is typically measured when you are at rest so as to accurately measure the energy you need to purely let your body ‘tick over’. It accounts for around 60-75% of most people’s overall energy burn each day. TEF refers to the energy you need to digest and absorb incoming food. It only accounts for about 5-10% of the energy you burn each day but i still a contributing factor. Each macronutrient has a different TEF value, with protein needing much more energy to digest than either carbs or fats. Physical activity is anything that isn’t classed as exercise. And non-exercise activity thermogenesis (NEAT) is classed as anything where your body moves but you aren’t sleeping, being physically active or playing sports. Together, these could be walking your dog, shopping, cleaning, fidgeting, tapping your foot and so on. This can account for a surprisingly high 50% of daily energy burn if you are an active get-up-and-go kind of person. And of course, exercise refers to any structured activities such as going to the gym, playing sports and so on. When you add up your BMR, TEF and physical activity levels you’ll end up with your total daily energy expenditure or TDEE. Key Point: Calories are a measure of food energy. And as a unit of energy, it can be measured as both intake and output. The calories-in/calories-out (CICO) model suggests that body weight is a matter of thermodynamics. That weight gain and loss is a balancing act between how many calories go in your body and how many you burn off. When you take on more energy than you burn off each day you achieve a calorie surplus. Why’s it called that? Because your body has taken all of the energy it needs from incoming food and there’s some spare – a surplus. And what does your body do with this spare energy? That’s right. It stores it as fat, ready for a rainy days when you might need it as back up energy. note – as far as your body is aware, you’re still a hunter-gatherer, unsure of where the next meal is coming from. It’ll therefore do everything it can to store excess energy as fat in case of famine or low energy availability. A calorie surplus is often referred to as positive energy balance. On the flip side, if you don’t eat as much as you’re burning off each day, your body will start to use that stored fat to make up the difference. You’ll do everything you can to store fat, but the minute your body needs energy and there isn’t enough around, you’ll break into your fat cells and make a little withdrawal – much like you’d do at the local ATM. A calorie deficit is often referred to as negative energy balance. But what if you take on the same number of calories as you burn off each day? Nothing. Your providing your body with just the right amount of energy it needs to go about its day-to-day tasks. This is what’s known as maintenance calories. If we use all of the information we’ve discussed so far we’re well on our way. What is your daily calorie requirement? The first thing you need to do is work out your BMR. This is simple as we’ve already provided you with a calculator below. All you need to do is input your height, weight and gender and it’ll use its inbuilt algorithm to give you a baseline to work with. Let’s say for example you were a 35-year old female who weighted 155 pounds. The calculator would give you a BMR of around 1680 kcal. BMR is the number of calories you’d need if you were to sit still all day,every day. It’s no use to us yet because we’ve not factored in how active you are. The key thing here is you need to be honest. Because if you’re not your calorie count will be way off. Let’s say that our 35 year old female is fairly active and comes under the easy exercise category. Again, we use the calculator and let it do it’s thing. And we’re now given a total daily energy intake of 1923 kcal. What does this mean? It’s the total number of calories that this person would need to eat to stay at the same weight. Not lose, not gain, but fall under maintenance calories. So How Many Calories to Lose Fat? Now that we’ve worked out your maintenance calories all we need to do is work out an optimal energy deficit – remember, you’ll only burn fat with a negative energy balance. And here’s where it all becomes very individualistic because what you can tolerate as your deficit will be different to others. Currently, the research suggests that a deficit of around 20-25% from maintenance calories is enough to stimulate fat loss, whereas you might be happier and respond slightly better either a slightly higher or lower number than that. At a 20-25% deficit it estimated that you will lose around 1-1.3 lb per week. Possibly even higher than that if you have more fat to lose. This would be more if you were to take your deficit even higher, but the chances are you’ll lose a lot more muscle mass if you aren’t on a very high protein diet, find it harder to keep to, and suffer from low energy. Key Point: A calorie deficit of around 20-25% lower than maintenance will lead to around 1-1.3 lb of fat loss per week, maybe even higher. Can Exercise Help You Lose Weight? Every time you move, walk, run, jump or lift weights you burn energy. And if you add all of the calories you burn from physical activity up, that can be a significant amount. But it’s worth noting that if you compare calories burned from exercise to food intake energy, exercise isn’t the most efficient way of achieving a calorie deficit. For example, let’s say you go for a bike ride and burn 300 calories. For the average person that’d take around 30 or so minutes dependent on the intensity. Now how long would it take you to eat 300 calories? If it was an English muffin at 395 calories, probably around 2 minutes. It can be much easier to avoid extra calories than it is to exercise them away. And that’s where motivation, habit and preference come in. You might be the sort of person that doesn’t like exercise and would do anything to avoid that 30 minute bike ride. If that’s the case, then shaving off energy intake by making wise food choices is a good option. On the other hand, you could exercise regularly, monitor how many calories you’ve burned in each session, and use that extra energy to eat a little more but still maintain a negative energy balance. It’s really a matter of personal choice. But again, if you don’t fall into a deficit you’ll not drop body fat. Step 1: Use the online calculator to work out your basal metabolic rate. Simply add in your gender, weight and height and we’ll do the rest. Step 2: Add in your activity level – be truthful. 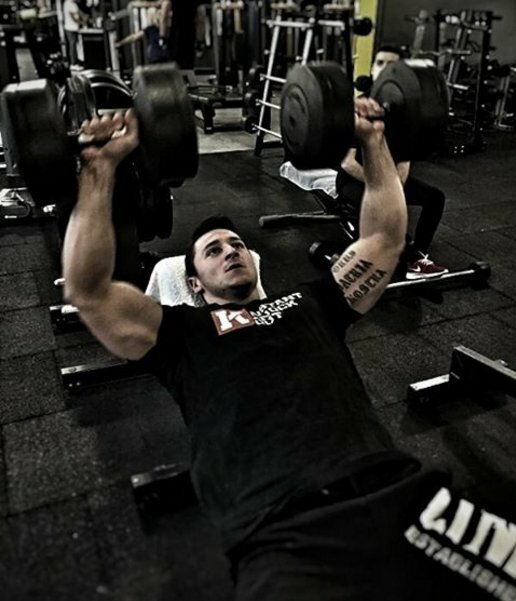 Step 3: Subtract 20-25% from this number to find your fat loss sweet spot.